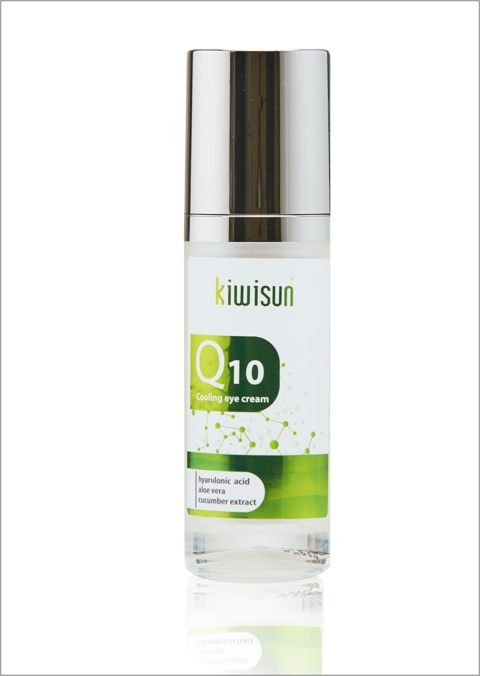 Q10 eye care and easily absorbing anti-wrinkle cream—its Q10 coenzyme content helps regenerate the eye area. The hyaluronic acid helps reduce the fine lines and restores the firmness of the skin. The pure herbal oils and extracts nurture and protect the tired skin. It has a soothing effect and is paraben-free, so it is recommended to people with sensitive skin. Micellar skin cleansing gel with vitamin granules—it not only cleans the skin, but also helps effectively remove makeup even without water. The gel texture and the micellar technology combine to ensure gentle, no-scrub makeup removal and cleansing on the cheeks and the eye area. 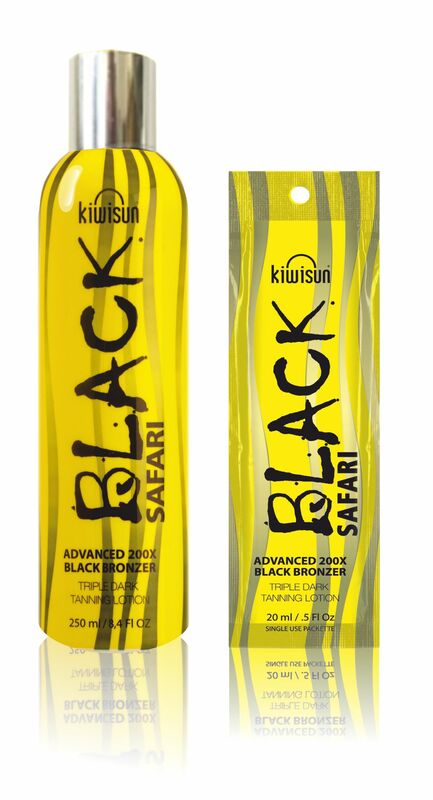 Facilitates and accelerates the tanning of the skin and helps achieve an intensely golden tan. Made with rich skin protective ingredients and an alluring fragrance. Its nutritious ingredients have a deep, long-lasting moisturising effect. Deep moisturizing skin care product for tanning beds to accelerate the natural tanning process, with ingredients to regenerate and nourish the skin. 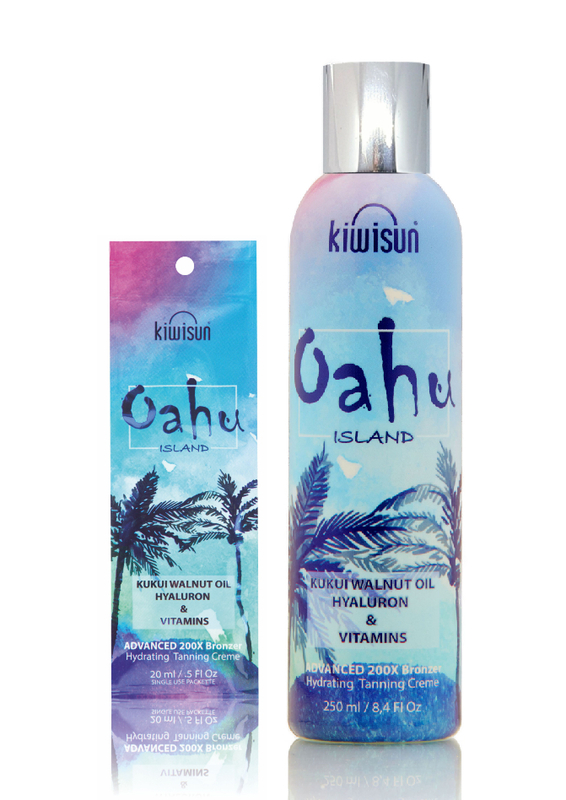 A cream rich in nutrients, with an outstanding ingredient, Kukui nut oil. This natural oil has long been used in Hawaii, it has beneficial nourishing and regenerating effects on both dry and oily skin. Kukui nut oil enters the deep layers of the skin, so you can enjoy its fast and deep moisturizing properties, and this natural skin care product also offers the wrinkle-filling effect of hyaluron. With this product you can easily achieve the maximum shade of tan for your skin type, while pampering and providing care to your skin. Recommended for every tan level, before using a tanning bed. A special quick tan lotion for tanning beds, with low allergen content, created specifically for the sensitive skin with valuable and natural ingredients. Extremely rich in nutrients, this product offers the protective and nourishing properties of shea butter, jojoba oil, avocado oil, sunflower oil and calendula. Shea butter makes the skin smoother, it softens wrinkles and alleviates skin irritation and pimples; jojoba oil fights wrinkles and cellulite; avocado oil is rich in Omega-3 fatty acid and stimulates the skin’s collagen production; sunflower oil contains a lot of vitamin A, C and D and also natural carotenoids and wax, which creates a protective layer on the skin, and it reduces the early signs of aging, thanks to its antioxidant properties. Calendula oil, with anti-inflammatory and wound healing properties and a high antioxidant and vitamin A, B, D and E content, soothes problematic skin. Recommended for every tan level, before using a tanning bed. ingredients has an immediate effect. A product especially rich in nutrients with the exotic fragrance of the Monoi de Tahiti flower. Allows you to easily reach the maximum depth of tan for your skin type and makes sure your skin is velvety soft after the tanning salon. Recommended for before salon use for all degrees of tanning. 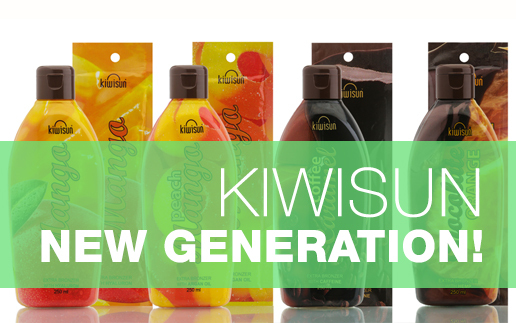 Introducing the NEW GENERATION of KiwiSun cosmetics. Skin rejuvenation using modern ingredients. Extra bronzing tanning lotion. The Shea butter and Golden Jojoba oil hydrate the skin, while the highly effective tanning complex gives your skin a beautiful dark shade. The Hyaluron essence (the key to youthfulness) helps keep your skin from aging. The lotion has a fresh mango scent. Extra bronzing tanning lotion for a lasting tanned color. Using this lotion we can influence the skin's regenerative ability. Argan stem cells directly affect collagen and elastic fibers. This is accompanied by a tanning effect that results in an immediate beautiful tan. 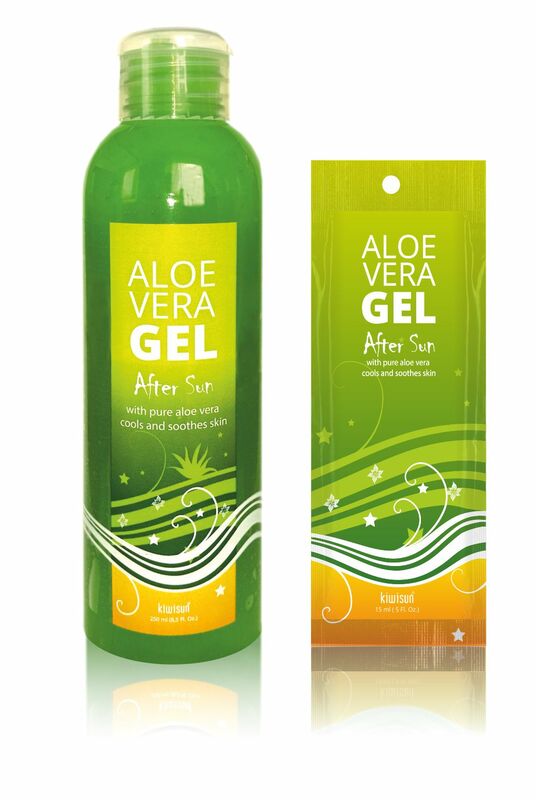 The Aloe Vera provides natural nourishment for the skin and an antibacterial and skin soothing effect. The mixture of Shea butter and skin friendly silicon is absorbed by the skin making it flexible, silky and healthy. 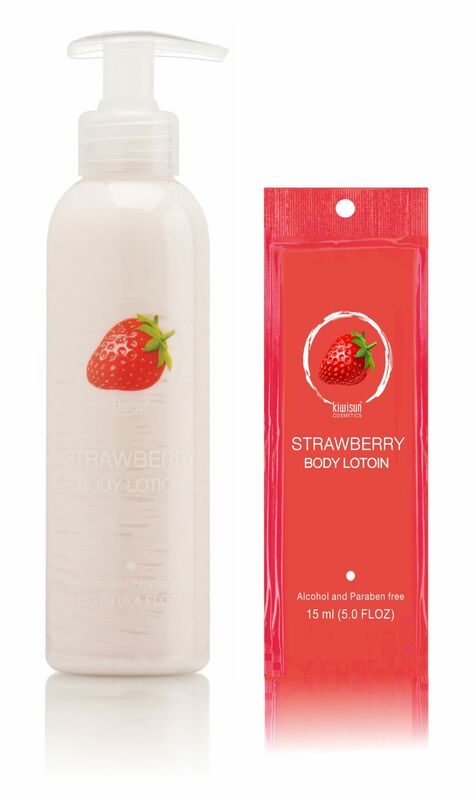 The lotion's scent evokes your most exotic dreams. Extra bronzing tanning lotion with skin nourishing antioxidants, Shea butter and Jojoba oils that hydrate and give the skin a healthy look. 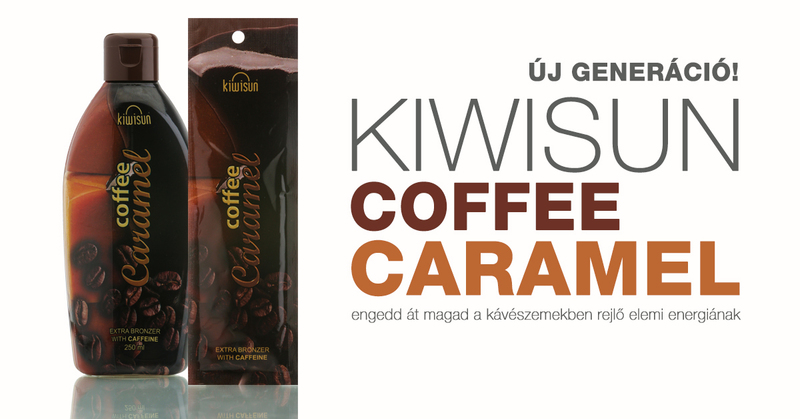 The antioxidants: green coffee extract and double caramel extract nourish the skin and provide a deep antioxidant effect. Caffeine along with the new generation Accelerator give the skin a beautiful tanned look while the D-Pantenol soothes, hydrates and firms the skin. The Aloe Vera provides a natural nourishment for the skin while also providing antibacterial and soothing effects. Extra bronzing lotion that achieves the brownest skin tan possible. Its natural effect is like returning from a holiday. The Anti-stretch oil makes the skin smooth and firm and is especially effective for dry skin because of its prolonged effect. The hemp seed oil effectively regenerates the skin while providing a natural firm feel. The Shea butter has a long lasting effect that hydrates and calms the skin. The Jojoba oil hydrates the skin in a way that leaves no greasy residues but also provides the necessary fat components that aid the skin in preventing water loss. 100X bronzer and skin rejuvenating tanning cosmetic. 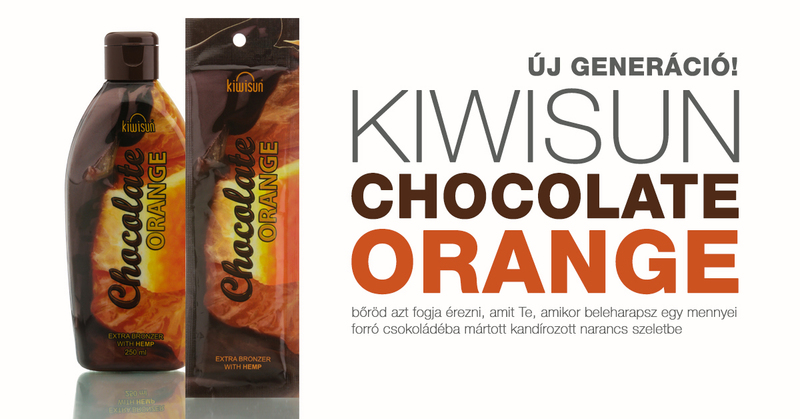 It maximizes tanning using chocolate, caramel and walnut. During this, the cannabis, Shea butter and plant oils make the skin soft the touch. This is enhanced by the high concentration of bronzing complex that allows you to attain a chocolate brown skin immediately. Enjoy the amazing scent of chocolate. Super 75X bronzer tanning cosmetic. 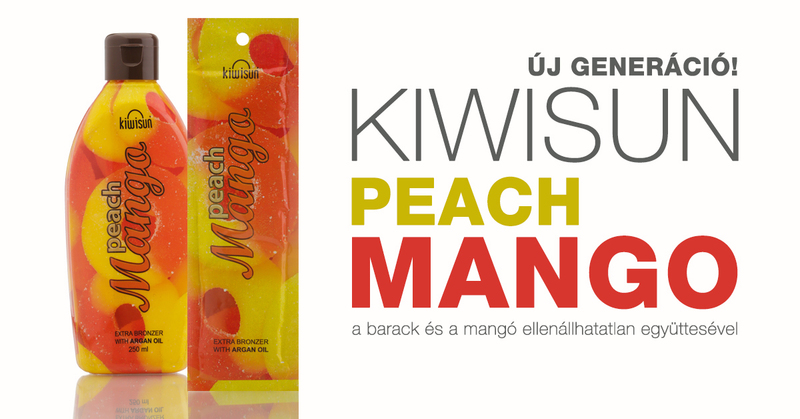 The Caribbean fruit mix, caramel and walnut maximizes tanning. During this cannabis, Shea butter and plant oils make the skin soft the touch. This is enhanced by the high concentration of bronzing complex that allows you to attain a Caribbean skin tone immediately. A fast tanning, bronzer and skin care product. The cannabis hydrates the skin while the Shea butter regenerates and softens it. The jojoba oil and the Aloe Vera complex allow you to retain a youthful tanned skin. Hyaluron makes the skin smooth and attractive. Thanks to the effects of the many bronzer components a golden brown skin tan can be achieved. 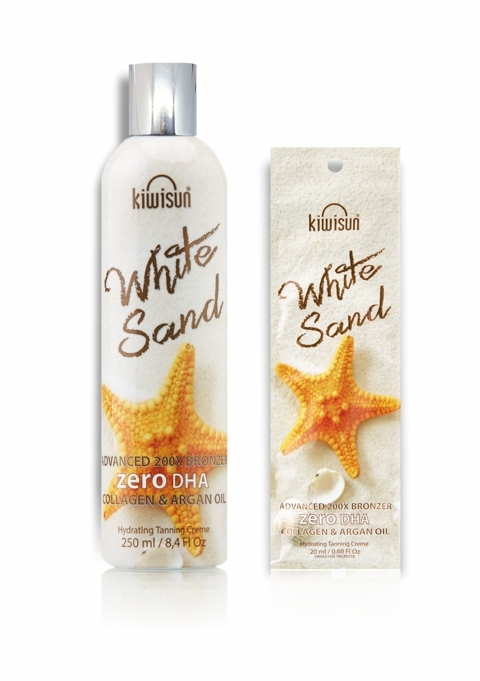 This pre-tanning lotion is most effective when used with KiwiSun green bio tanning. 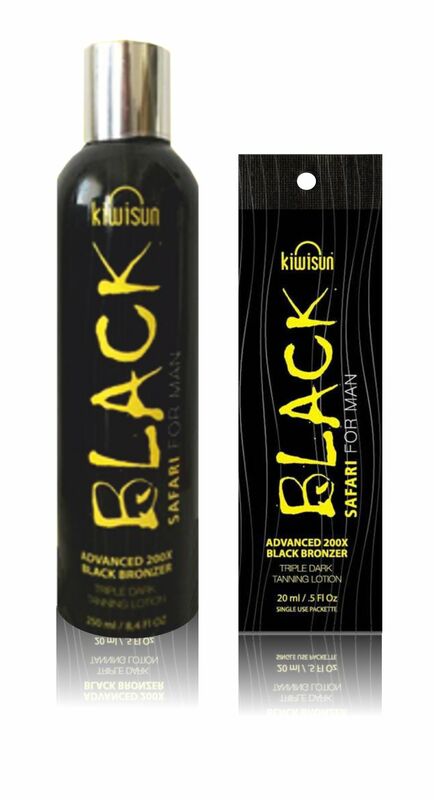 Recommended for advanced tanning salon users, with immediate effects that make the skin a Caribbean brown. 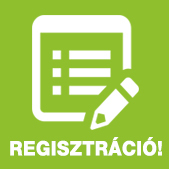 Get tanned and become healthier at the KiwiSun so that you can be the sexiest person around! 200X bronzer that maximizes tanning. 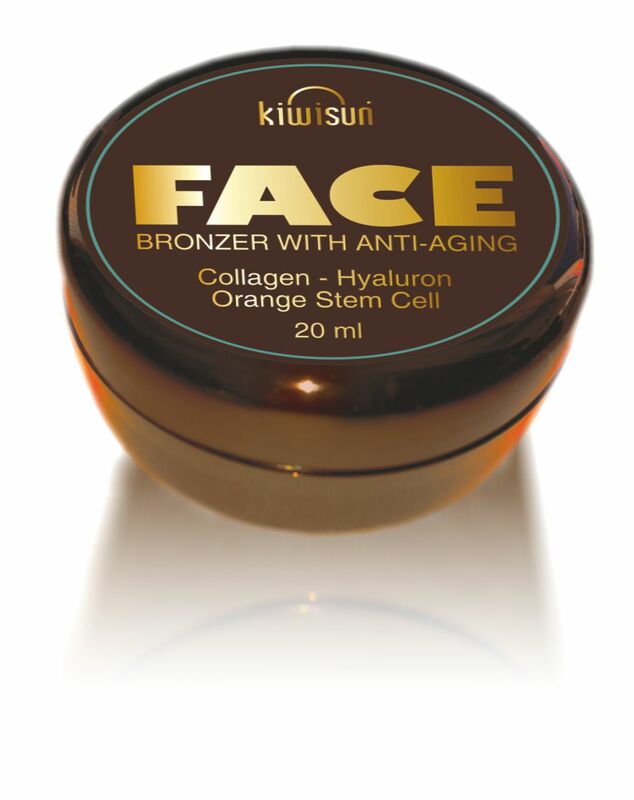 It contains rich cell regenerating and protective ingredients as well as marigold extract. The lotion will help you achieve a long lasting tan. Because of the many tanning ingredients the maximum tanning for each skin type is achieved quickly. The natural bronzers, DHA and Tyrosin allow your skin to tan a dark brown. After tanning the skin will be soft and will have a pleasant smell. Recommended for all tanning stages before tanning. The lotion contains many cell regenerating ingredients and marigold extracts. Because of the many tanning ingredients the maximum tanning for each skin type is achieved quickly. 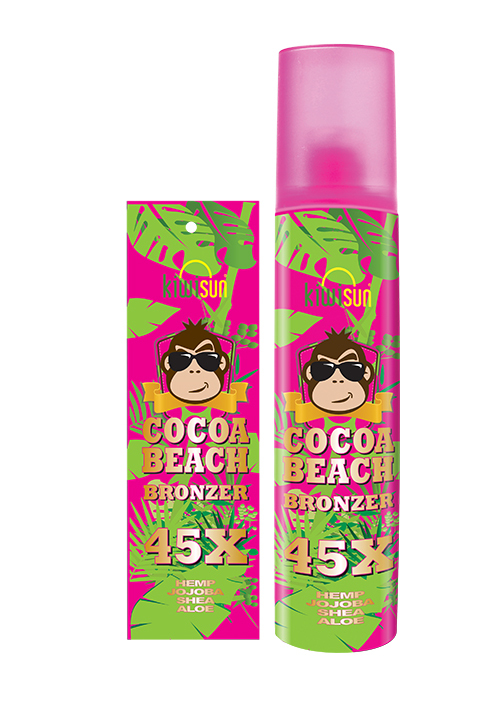 The natural bronzers, DHA and Tyrosin allow your skin to tan a dark brown. After tanning the skin will be soft and will have a pleasant smell. Recommended for all tanning stages before tanning. Pre-tanning leg tanning lotion. While tanning the skin becomes soft. Immediate effect with rich protective ingredients and natural marigold extract. Increased active substance for skin that doesn't tan as easily. Because of its Hyaluron essence we can prevent skin dehydration and can fill in smaller wrinkles. During tanning, the collagen may decrease. The added plant collagen helps counteract the effect. The lotion containing stem cells can improve the skin's vitality and freshness. A regenerative and nourishing hand lotion that protects the hand from dehydration and strengthens the nails. It is a quickly absorbing, hydrating, regenerative hand and nail lotion. It does not leave a sticky feeling. The marigold and urea extracts aid epithelialization. The avocado oil that contains vitamins A, E and D is has regenerative and cell renewing properties. The Shea butter smooths the skin. The castor oil and carnauba wax applies a protective grease layer onto the hand. Continuous use results in soft and healthy skin. Recommended for treating strained hands by applying it 3-4 times a day. 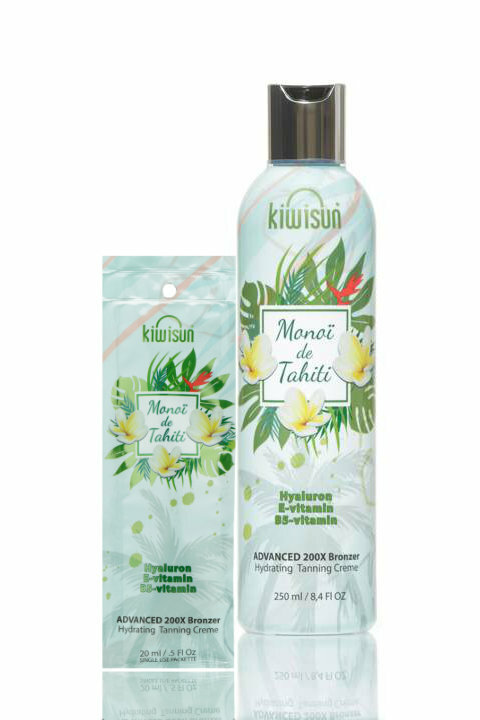 A traditional plant based cosmetic that hydrates and soothes the skin after sunbathing, bathing or tanning. Everyday use accelerates the skin's regenerative process and helps keep it smooth. It also has demulcent properties and aids epithelization and can reach the deepest parts of human tissue. Gently cleans, conditions and calms the face making it easier to absorb hydrating lotions. Used for make-up removal, face cleaning (face, eyes, mouth) and soothing. Result: perfectly clean face achieved without exfoliation. 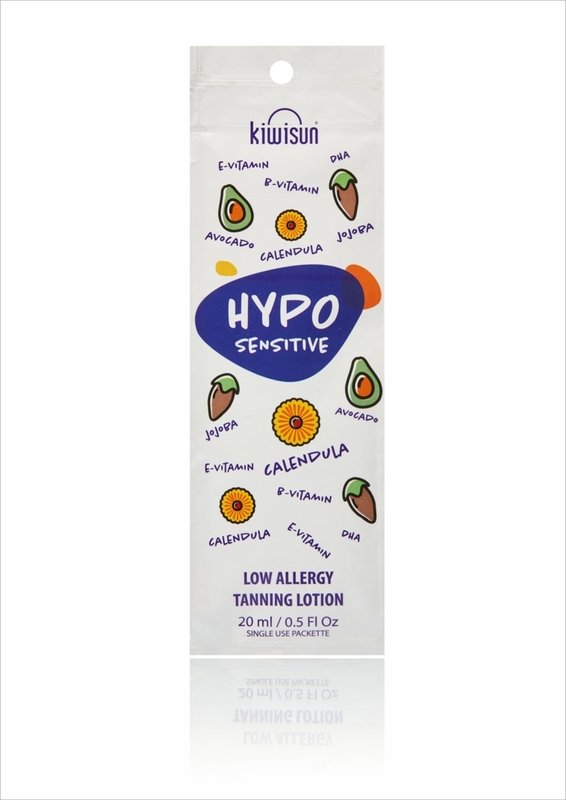 Can be used for all skin tones and even for sensitive skin. It is free of colorants, alcohol and soap. 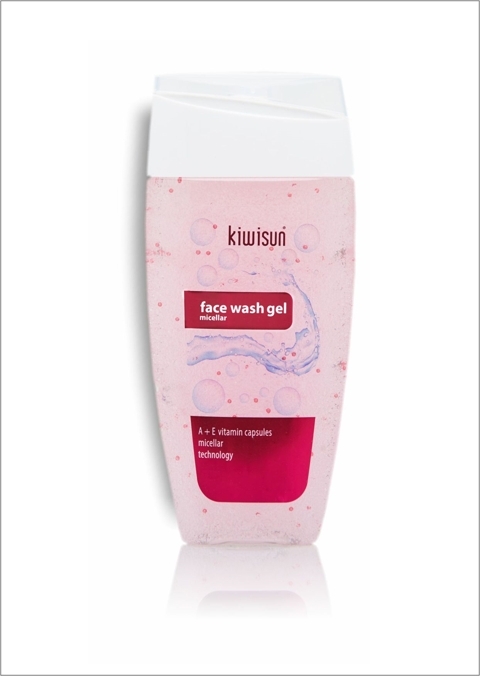 A soothing facial wash that removes stains without drying or irritating the skin. It decreases the reactions of sensitive skin such as dryness and redness while hydrating and soothing the skin. 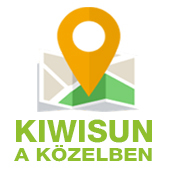 The facial milk is free of colorants, alcohol, paraben and soap. With many natural ingredients and hydrating, softening ingredients. Rich in vitamins antioxidants its natural ingredients decrease dryness while firming, nourishing and regenerating the skin. Recommended for daily use after bathing sunbathing and tanning. Free of alcohol and paraben. A unique body lotion that hydrates, regenerates and nourishes the skin with many natural ingredients, skin softening ingredients, vitamins and antioxidants. Recommended for daily use after bathing, showering, sunbathing and tanning. Free of alcohol and paraben. 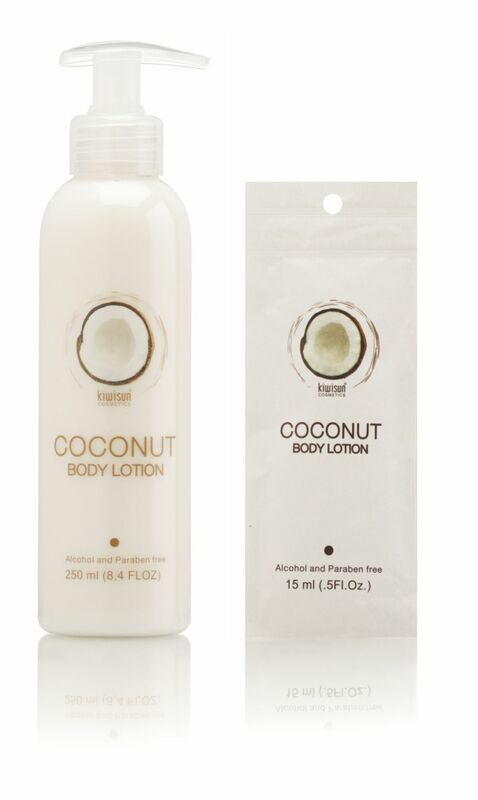 A body lotion that contains hydrating and soothing ingredients. Rich in vitamins and antioxidants its natural ingredients hydrate the skin. Recommended for daily use after bathing, sun bathing and tanning. Free of alcohol and paraben. 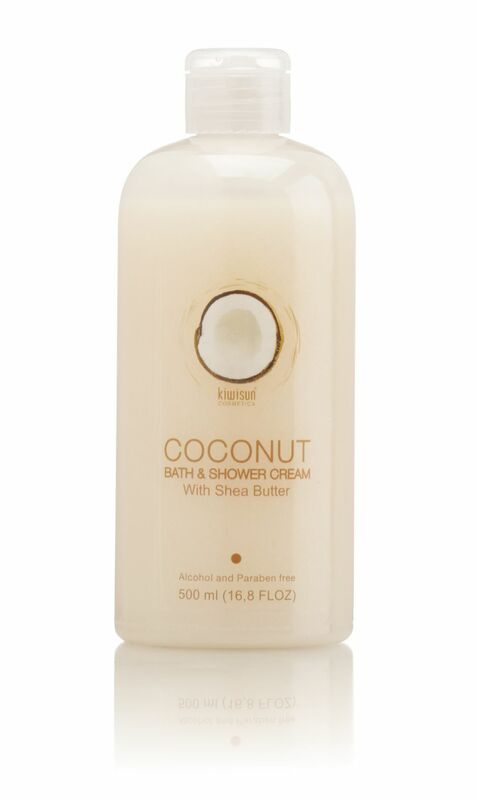 Rich in natural plant oils, coconut oil and Shea butter. Because of its hydrating ingredients it makes the skin clean and smooth. The ingredients prevent dryness. 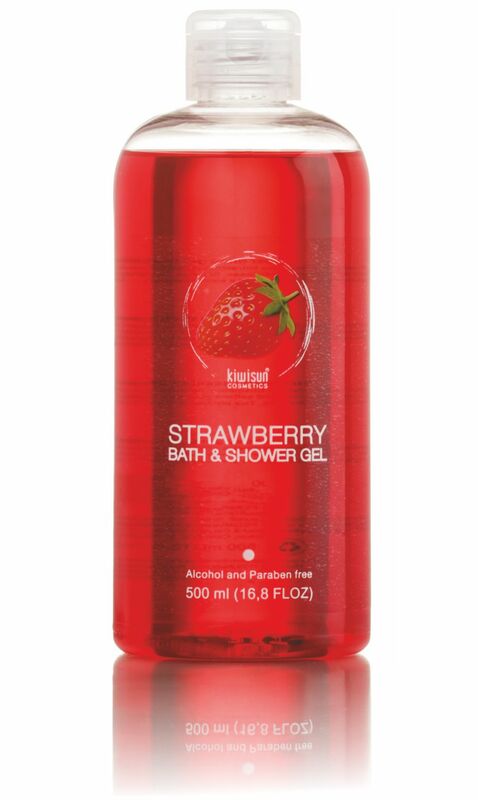 Alcohol and paraben free. 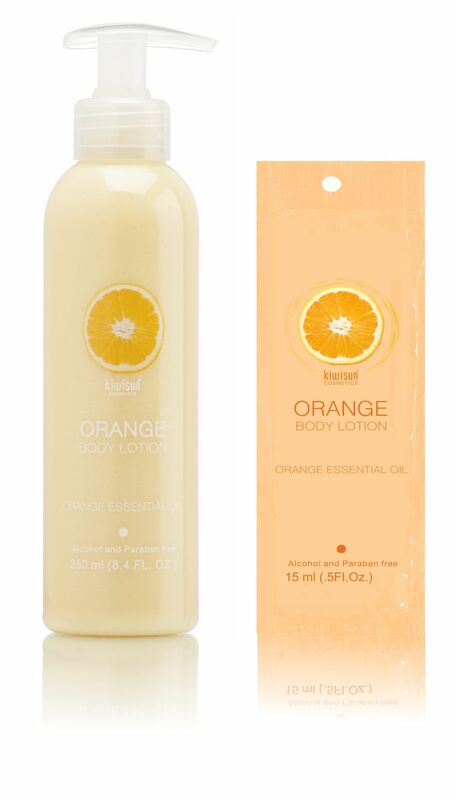 Made from natural real orange oil, it has a fresh orange scent and makes the skin soft and hydrated. Thanks to the valuable components it cleans and softens the skin. It does not cause any skin irritation. Free of alcohol and paraben. 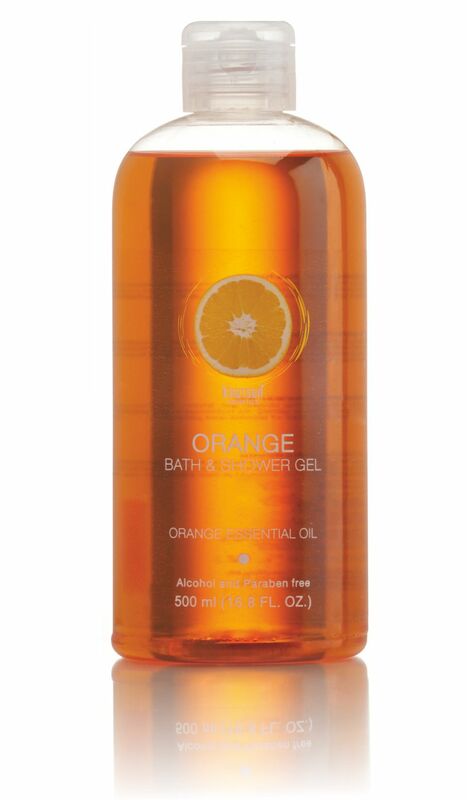 Thanks to its natural ingredients in gently cleans the skin and makes it silky. The ingredients prevent the skin from dehydrating. Free of alcohol and paraben. Anatto powder: the uniqueness of the soap comes from the Anatto powder and is made with extra virgin olive oil. The powder made out of the trees found in the Amazon rainforest was first used by indigenous tribes as body paint. It uses only natural ingredients that sooth and hydrate the skin. It contains no palm oil, perfume, artificial coloring or petroleum products. It accelerates tanning and aids pigmentation so that the skin retains its tanned color for a longer period. It reduces wrinkling and skin aging. It also helps the skin protect itself from the harmful effects of sunbathing. It also has insect repelling properties. Skin soothing and hydrating effect. Contains only natural ingredients. Made with extra virgin olive oil. Does not contain palm oil, perfume, artificial coloring or petroleum products. Helps the skin recover after sunbathing and is excellent for treating sunburns and insect bites. It contains natural latex and is universal thanks to its unique composition: it can be used for greasy and dry skin as well as skin with acne and eczema. The scent of lavender will create a pleasant atmosphere. It is made with extra virgin olive oil. It does not contain palm oil, perfume, artificial colorings or petroleum products. It is made from the best quality oils. It is a foamy soap. It protects, regenerates and hydrates the skin. 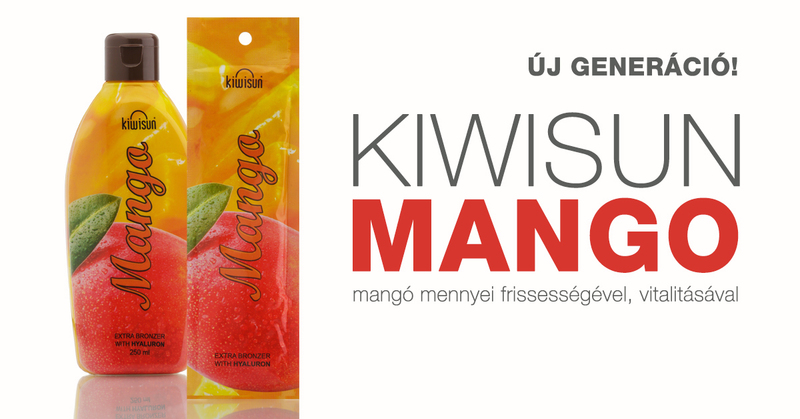 LOOK FOR THEM IN THE KIWISUN STORES!